I bought a couple perfume atomizers and have filled them with pastis and Green Chartreuse. This makes rinsing glasses with either ingredient mildly less annoying and substantially less wasteful (plus you can give the drink one last spritz after pouring for added aroma). Considering the things go for all of five bucks a pop on Amazon, they’re not a bad investment. An aromatic rinse can really add to a drink’s character! Rinse a chilled cocktail glass with pastis. 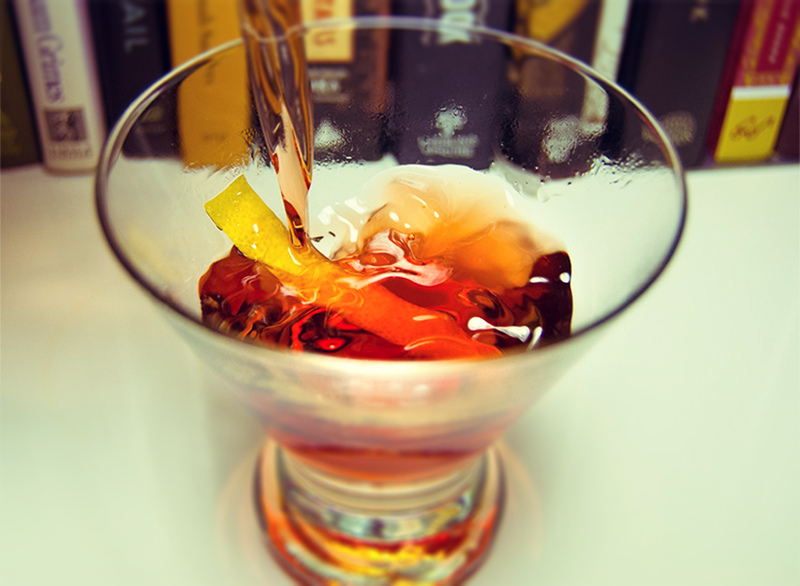 Combine gin, Dubonnet and bitters in a pint glass over ice and stir thoroughly. Strain into cocktail glass. Garnish with a lemon twist.